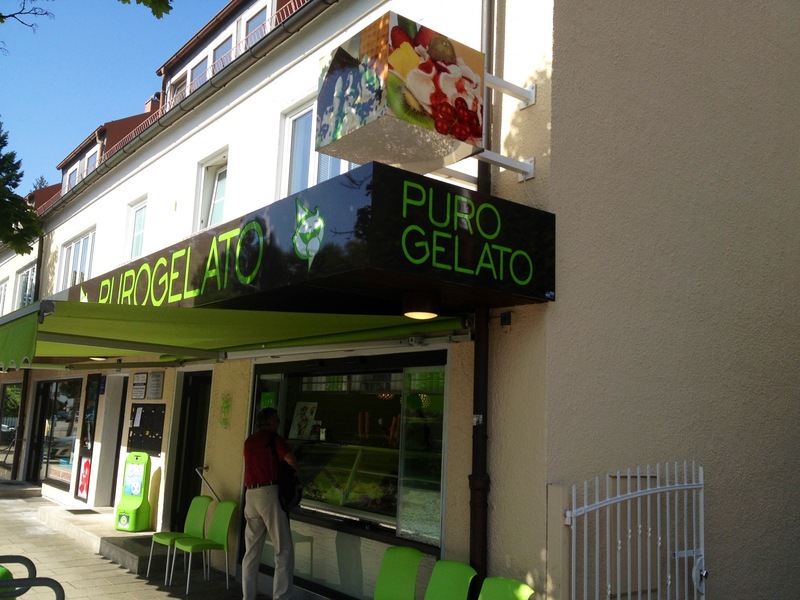 What a treat to find a genuine Italian Gelateria in Planegg Germany! This is just a short but sweet blog post about a sweet and fresh treat! 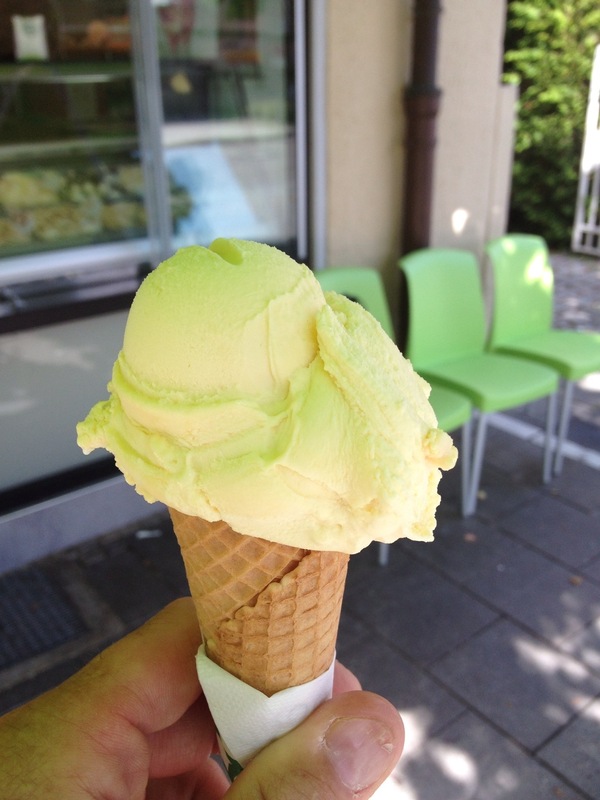 Is there any better way to have a cooling treat but with Gelato? I think not……. 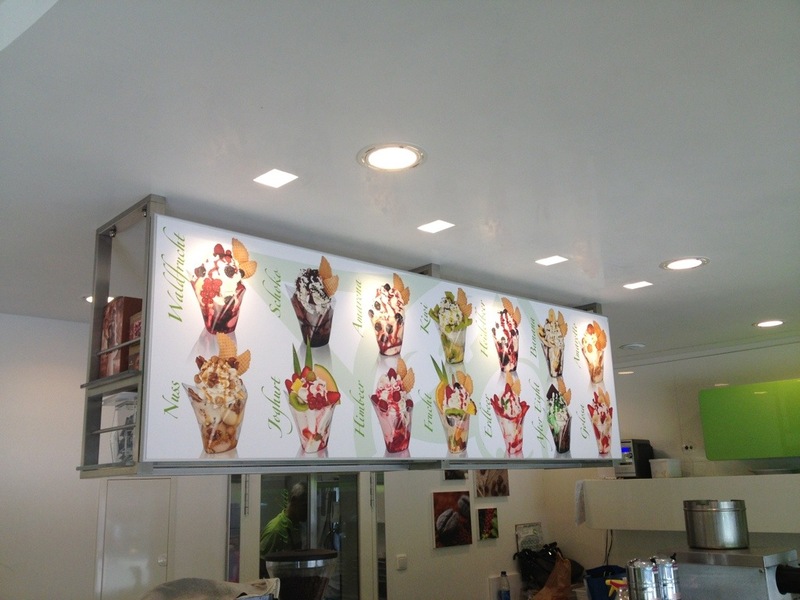 And then you see the mouthwatering flavors all jump out at you…..
A cone or a cup? Try a cone, they are fresh and light. 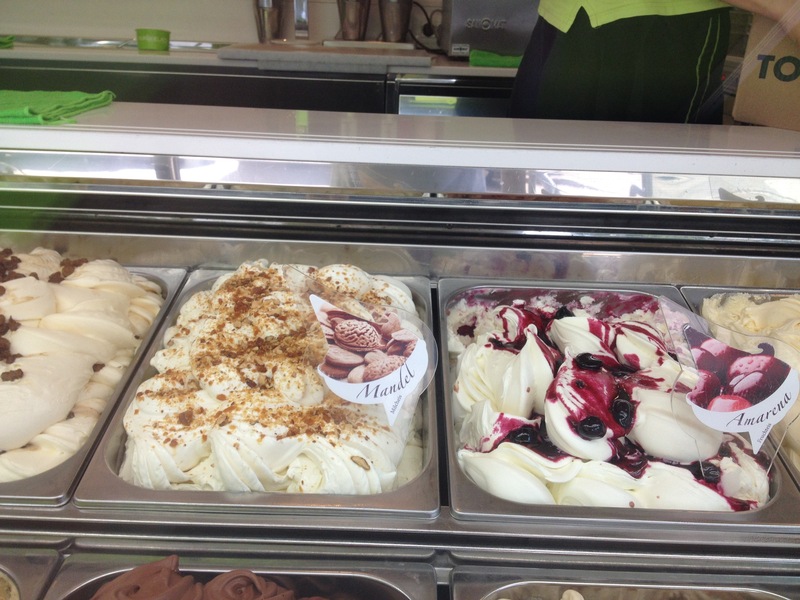 The flavors are wow and the ingredients fresh as they make the gelato daily on site. The store is located on a quaint little street in the town with a nice little sitting area inside or out. 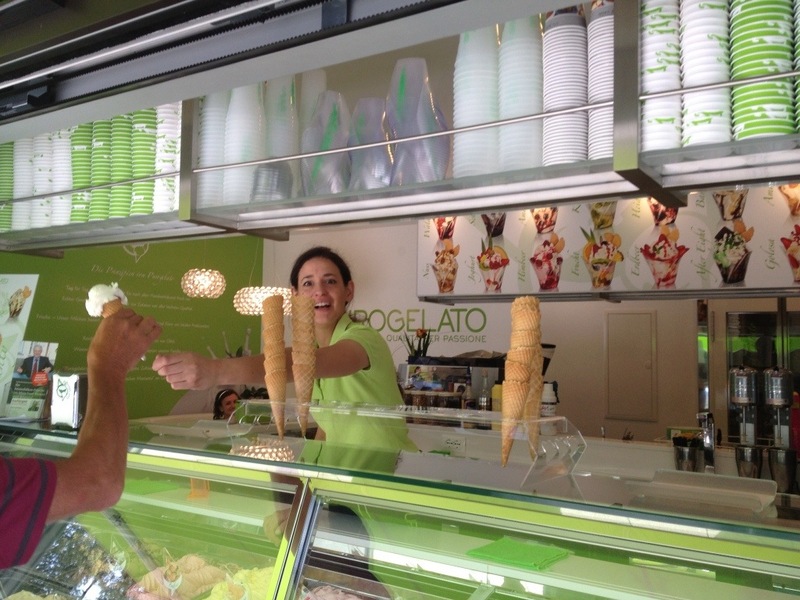 With 38 degree weather today let’s just say Puro Gelato seems to be hitting the spot for Local and tourists alike!